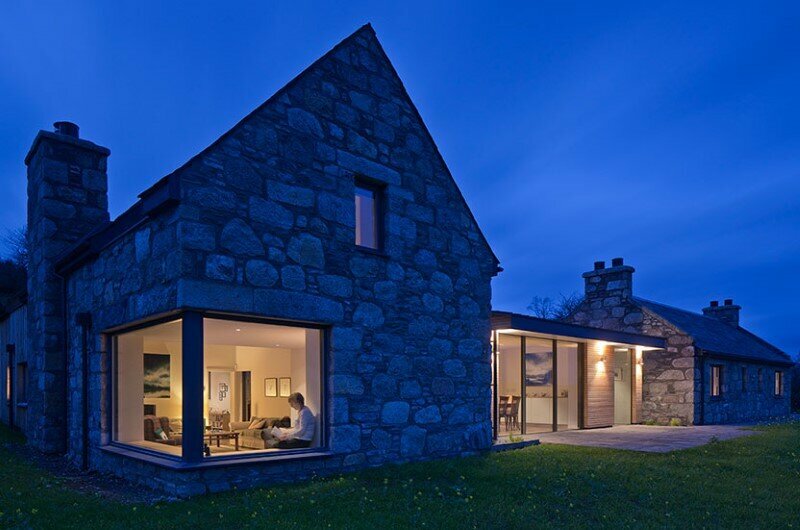 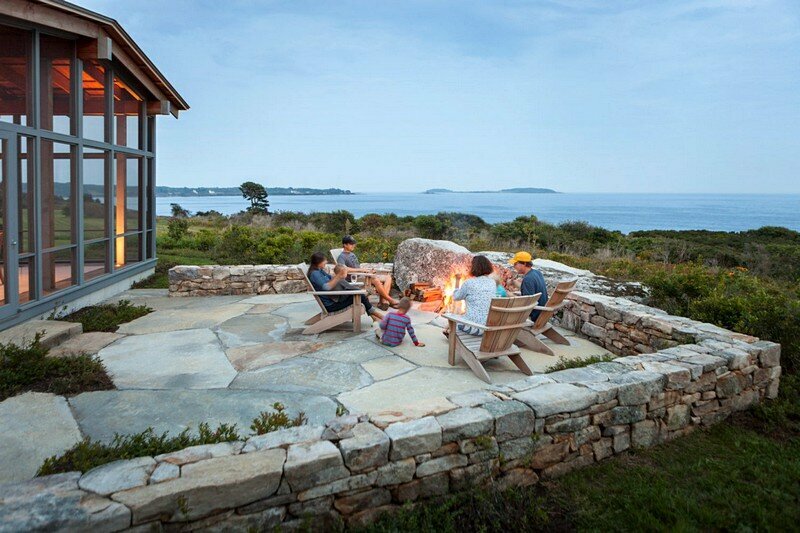 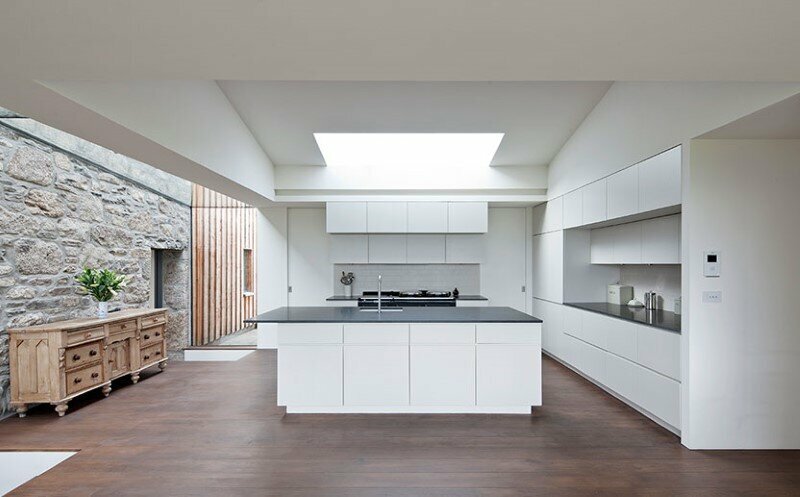 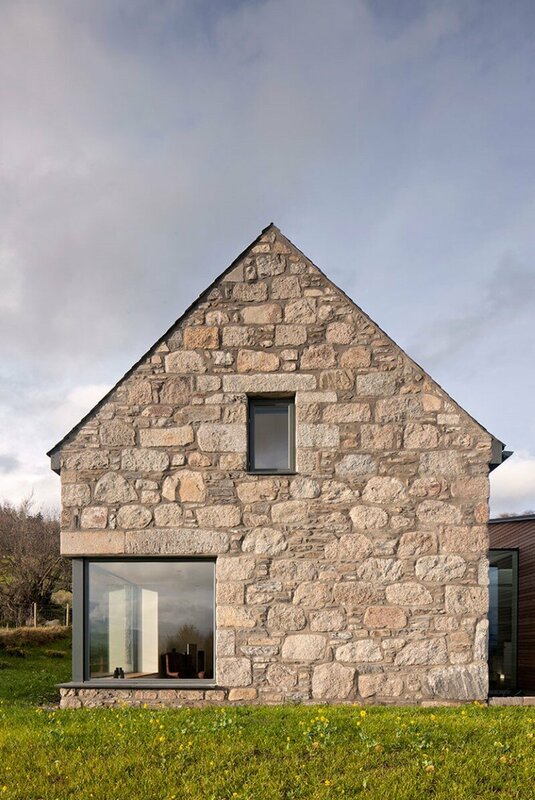 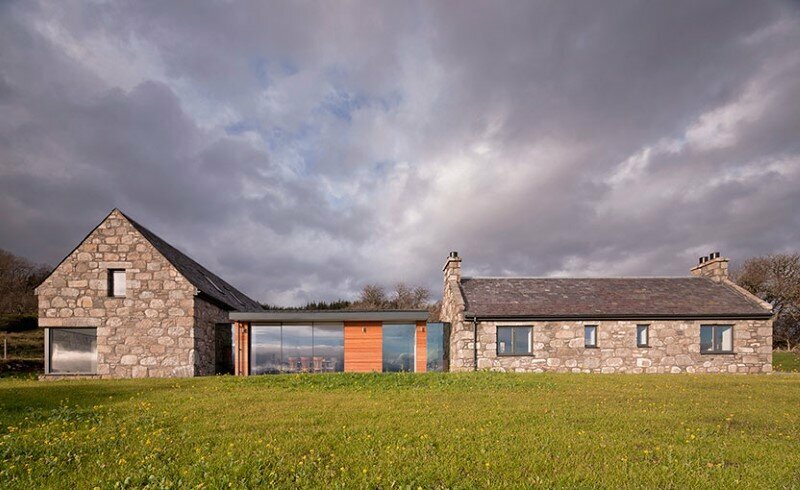 Torispardon is a new build scottish cottage in the Central Highlands, designed by Stuart Archer & Liz Marinko. 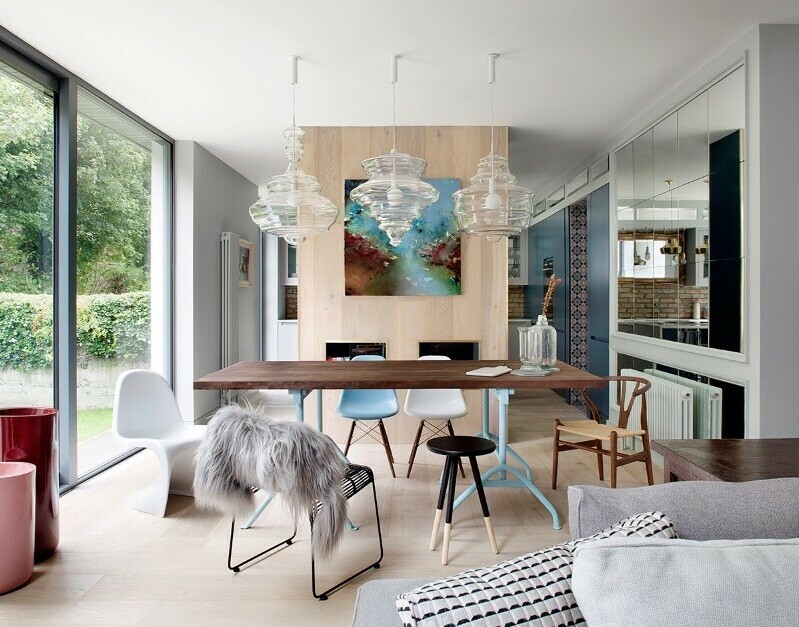 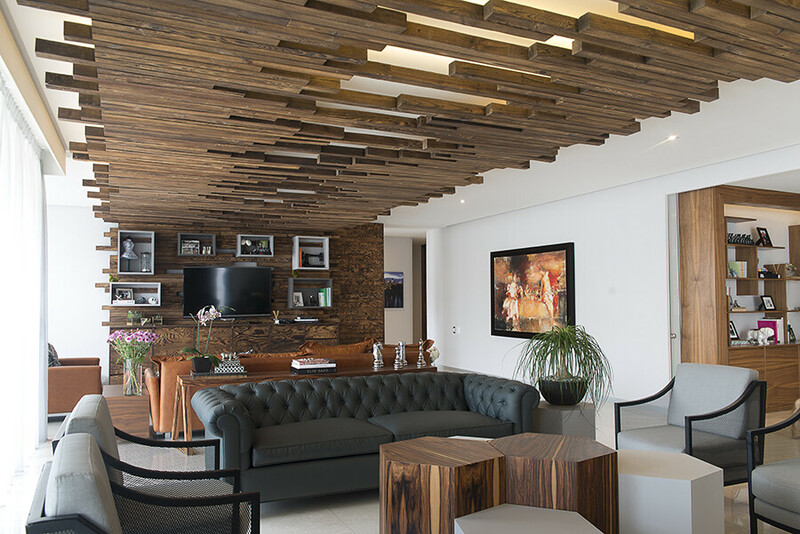 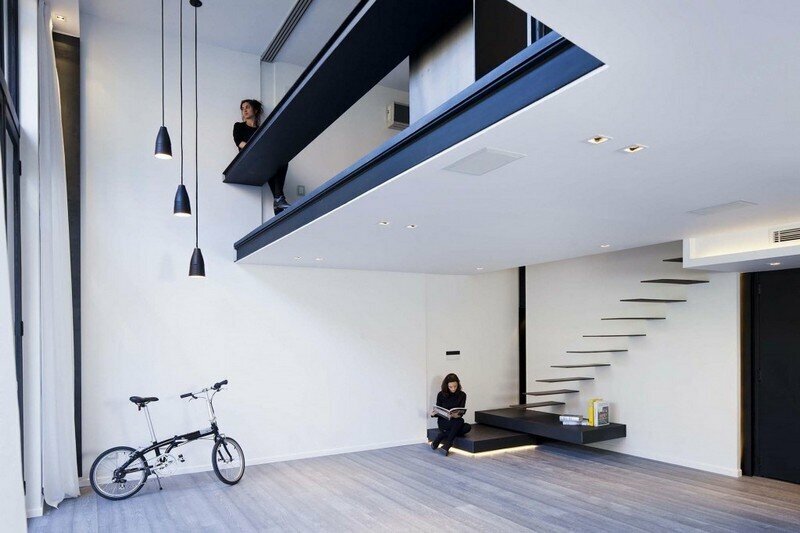 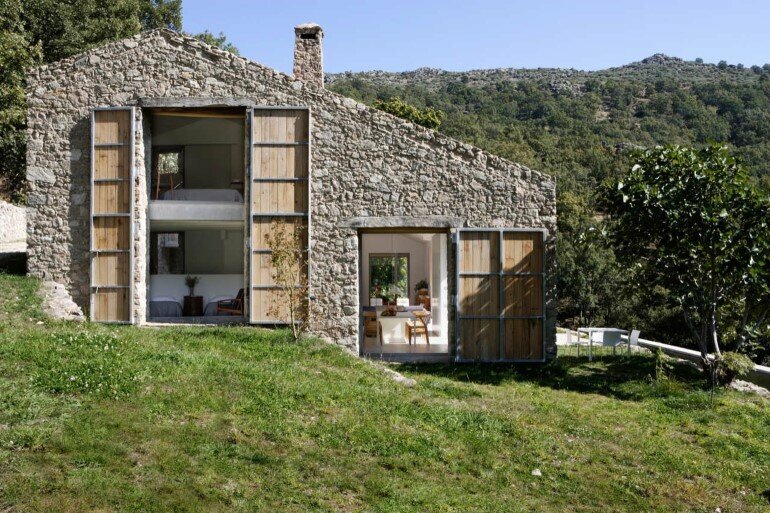 The house has an area of 300 sqm. 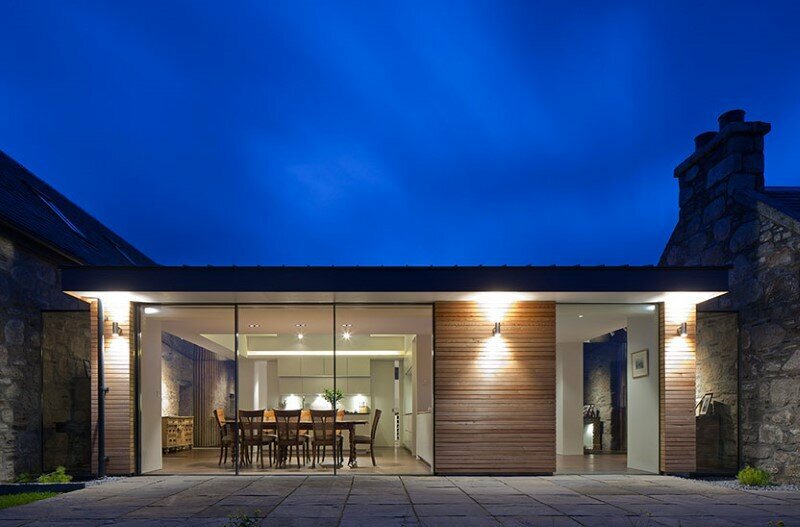 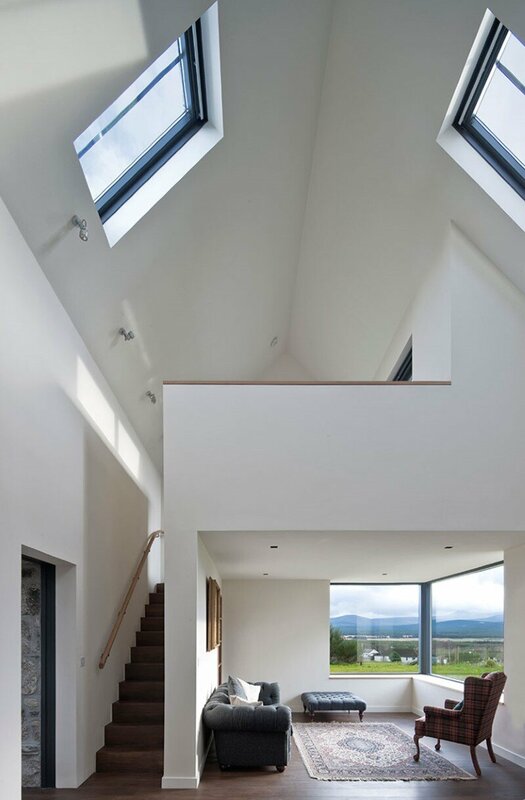 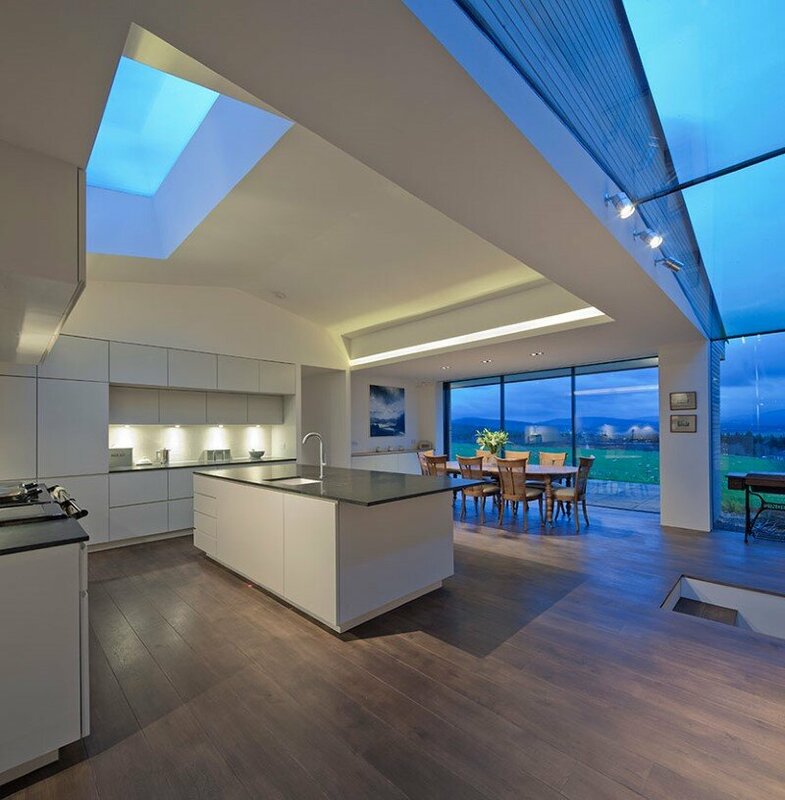 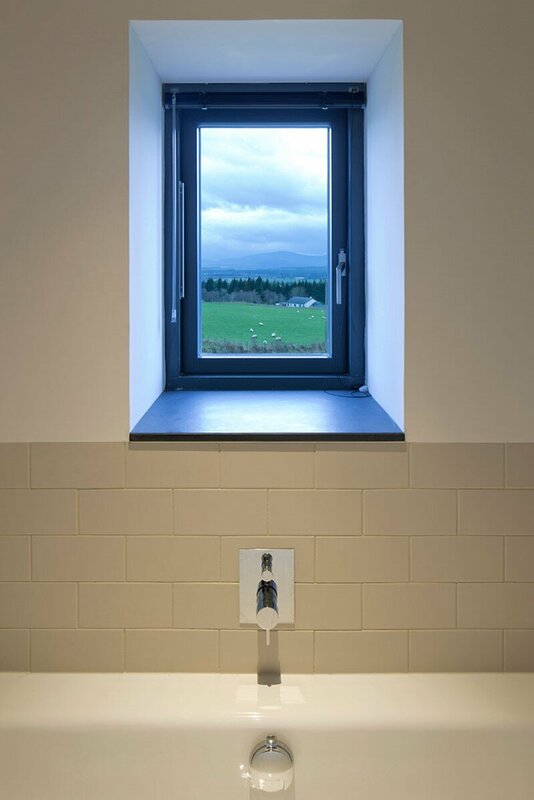 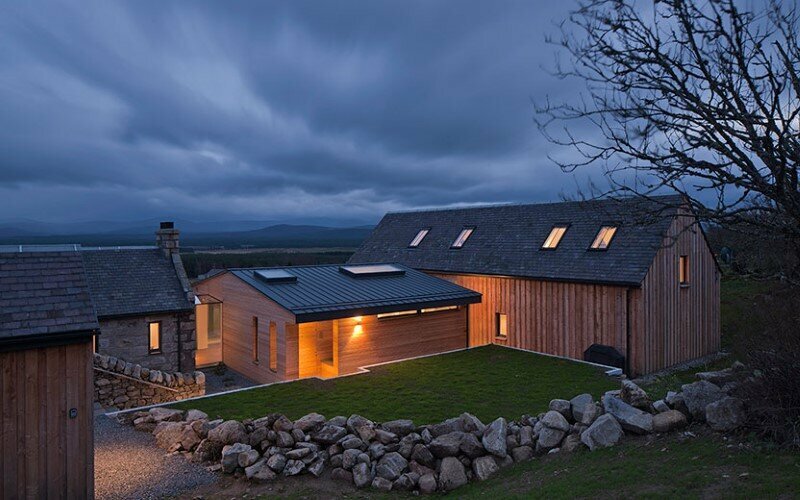 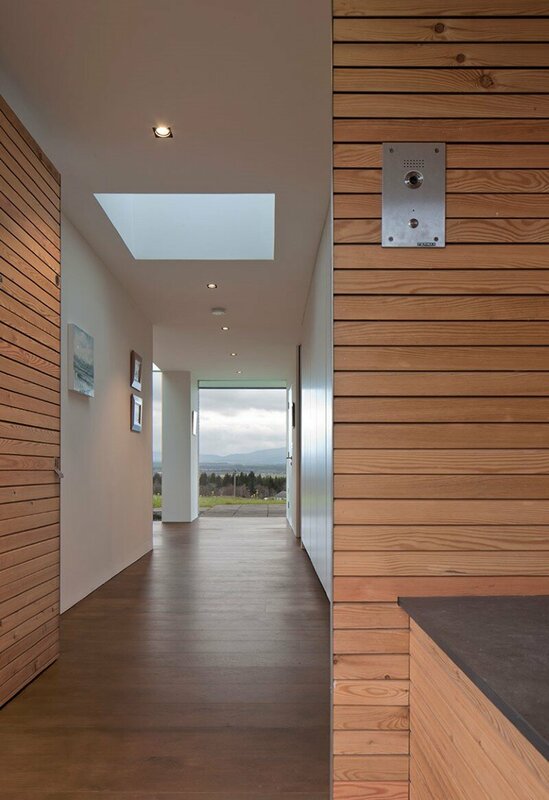 Description by Stuart Archer & Liz Marinko: Torispardon is a new build private house in the Central Highlands, nestled on a hillside with panoramic views of the Cairngorm Mountains and the Spey Valley. 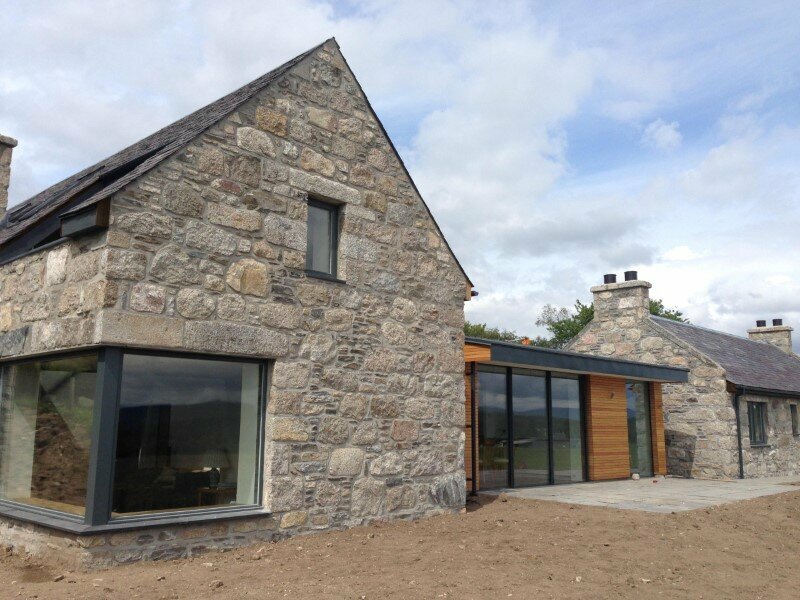 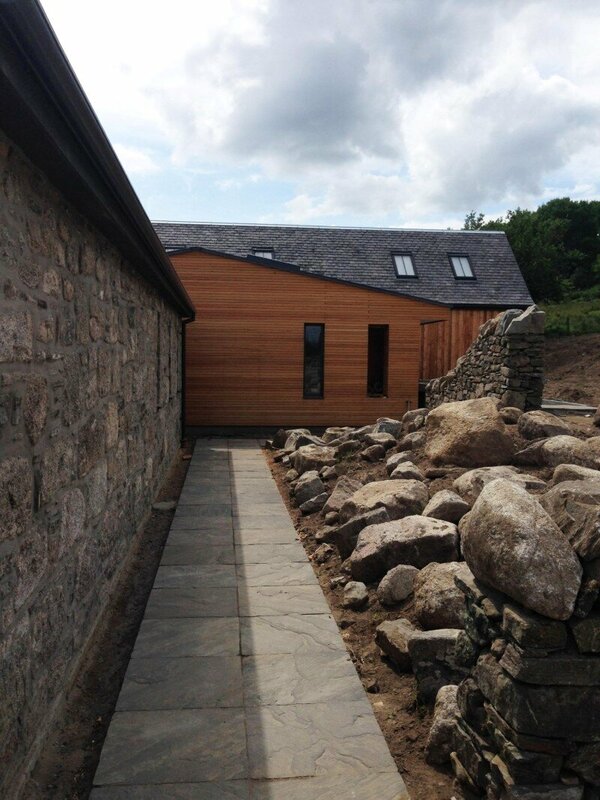 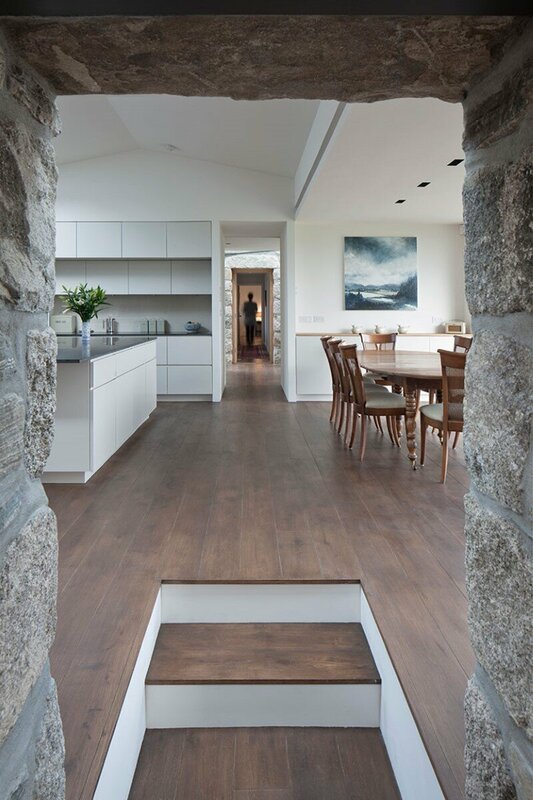 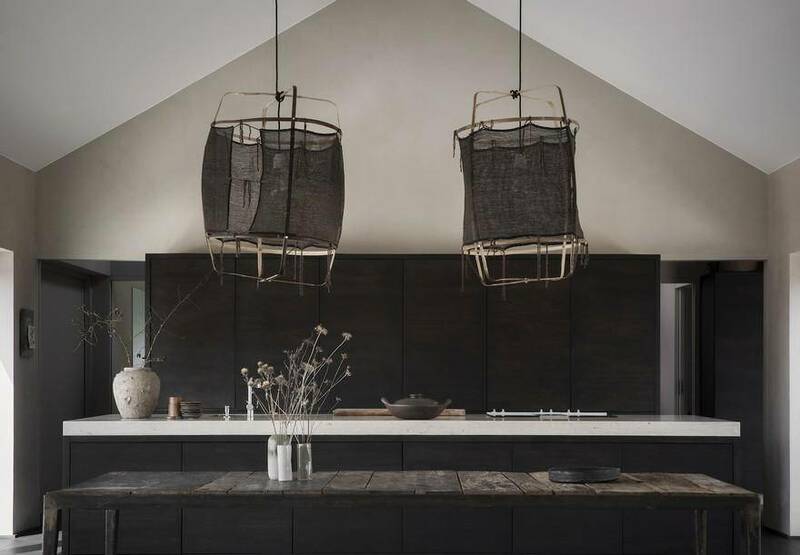 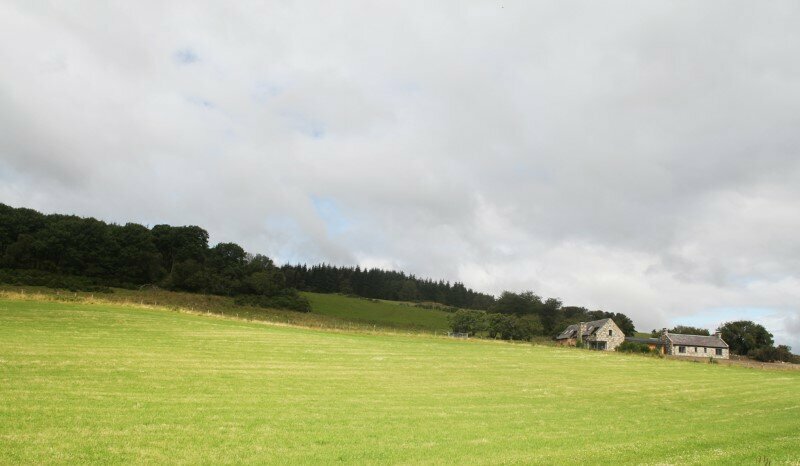 It is formed of three elements; the Cottage which accommodates guests and can be ‘shut off’ when not required, the timber Link which houses the main entrance, utility and kitchen, and the Steading which has the master suite and living areas. 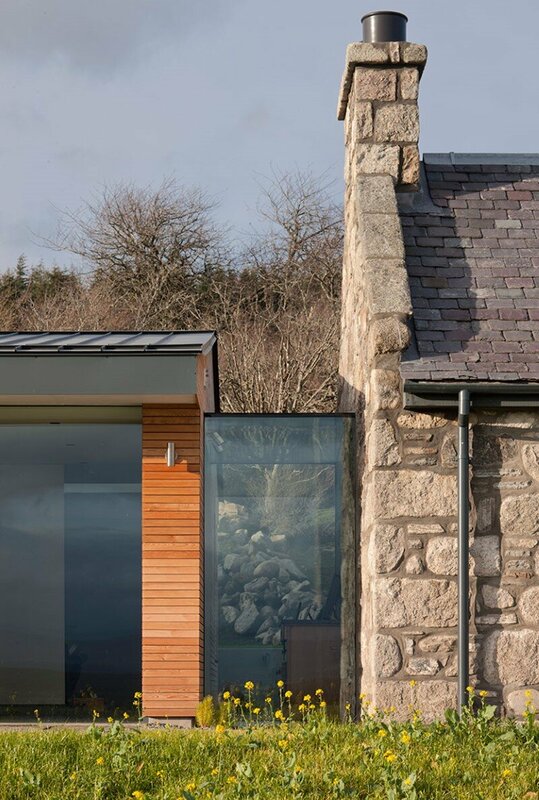 Frameless glass elements are employed to visually separate the three buildings, whilst allowing them to physically interact.